Mr Brian D. is doing a very grand job indeed renovating the house in Vellano. Most particularly he has remade the ceilings inside the house beautifully. It is exciting to look at the deep red of the terracotta tiles and warmth of the cleaned chestnut wood beams. I could not believe that they could look so wonderful after years of neglect. These ceilings are waitiing for the first visitors in May. This will soon arrive as the turn of the new year approaches. There are so many things for us to do in moving to a new country and so many challenges ahead with our plans moving forward to how the gardens will look, what to grow where, and what will grow there! Thinking about the physical move of taking our furniture and belongings across Europe and carrying them up the final hill to the house. We are also looking to put up a new sign at the side of the main entrance where there was once a plate with a name many years ago, and there will soon be another new name Casa Verde! The Dream Goes on in Tuscan Hospitality, Art, Culture and Fine Food! On Tuesday 16th of June we head for Vellano, a large hillside village sitting grandly in the high narrow wooded valley above the town of Pescia in the Pistoia region of Tuscany. We can see the house with its brown stone and green shutters as we approach the village from the road below, sitting aloof among the green trees of the mighty hillside above. It looks lovely from here. The house has an old fashioned charm with many old stone and wood features, echoing two centuries of habitation and family life. This will be a new era in it’s history as our new home and a place for others to visit and admire the country around us. 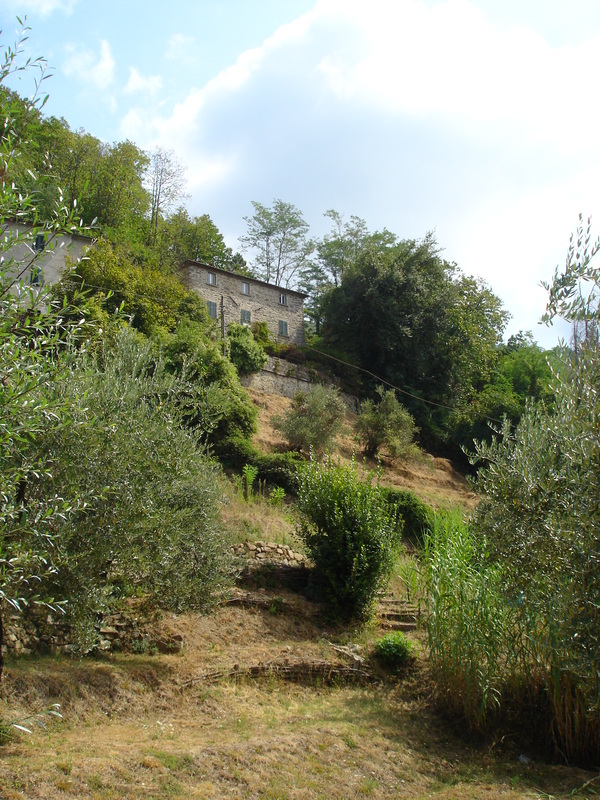 The house also has a fantastic, if overgrown, view of Vellano and the valley below above Pescia. It is large, square and proud among the chestnut, olive and fig trees. 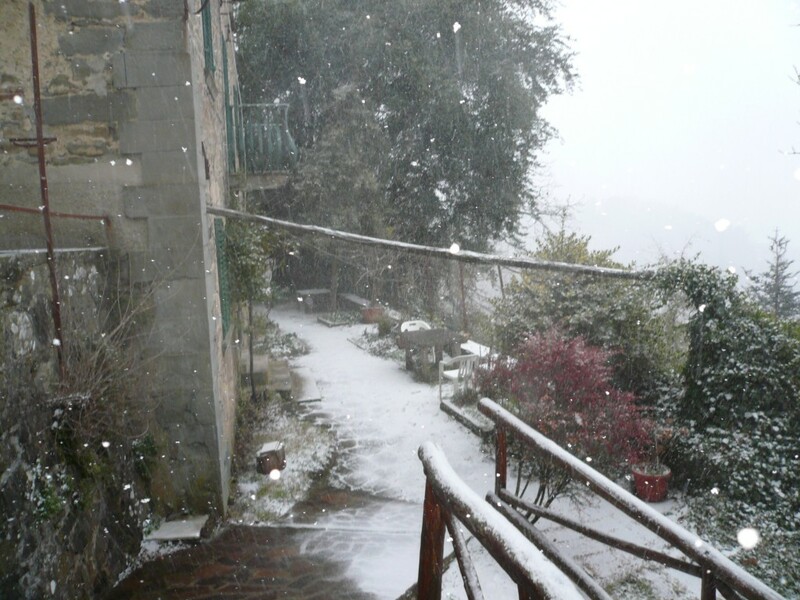 Above its steep old garden terrace where we can grow many types of fruit and vegetables for our guests. Then there is further abroad the compact delightful town of Lucca, the white majesty of Pisa and the magnetism of historic Florence. Visit us and discover a quiet, gentle and friendly part of Northern Tuscany close to all of its glorious attractions.